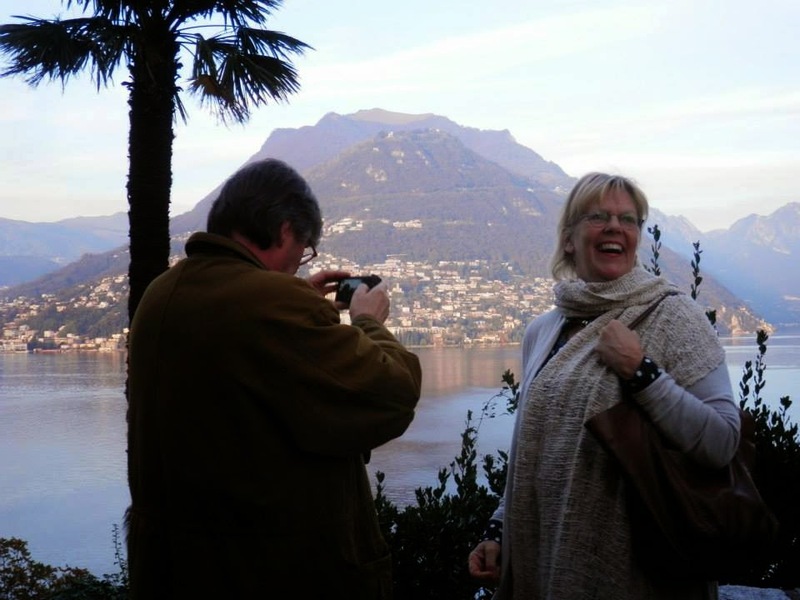 As part of the 2014 Digital Wine Communications Conference in Montreux, Switzerland, I explored the wines of Ticino during a post-conference press trip. About 10 of us, including my wife Annette Schiller, ombiasy PR and WineTours, Snooth Editor-in-Chief Gregory Dal Piaz, and Keith Edwards, eminent wine expert and blogger (Wine -- Mise en abyme), also from the US East coast, and Carla Maset from Italy, who took nice pictures (some of which I am using in this posting), boarded a train in the morning of Sunday, October 30, in Montreux. 6 hours later, we arrived (via Milan, where we were met by Matthias Schmidt) in Lugano. During the following 48 hours, we visited 7 winemakers and were introduced to the local cuisine. Matthias Schmitt and Francesco Tettamanti, Director of Ticinowine, were our hosts. We got our first introduction to the wines of Ticino at the 2014 Digital Wine Communications Conference in Monteux, Switzerland during the Grand Swiss Tasting conducted by Jancis Robinson and Jose Vouillamoz, which included 2 Merlots from Ticino. 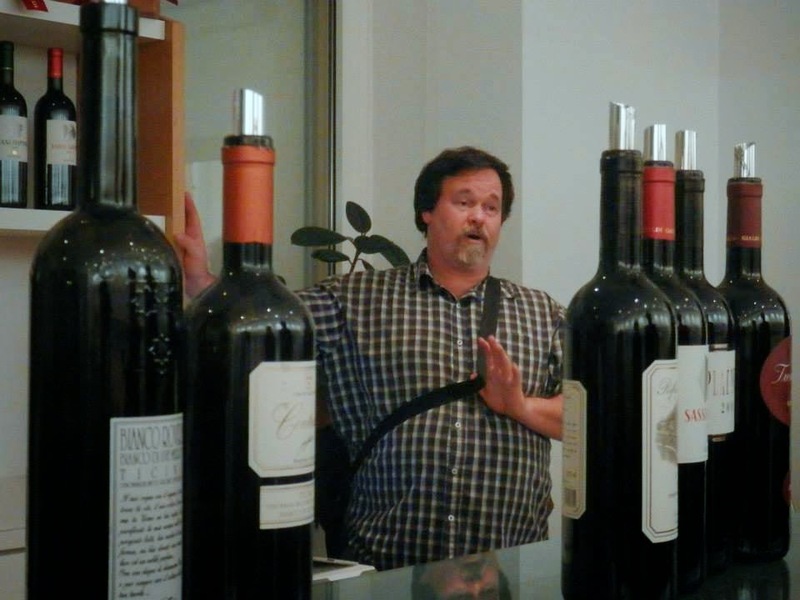 Since our return, fellow traveler Keith Edwards has already released several excellent postings on his wine blog (Wine - Mise en abyme) from which I am also drawing. Switzerland's particular situation - in between four wine-producing nations (France, Italy, Germany and Austria) and itself divided into four different areas with different languages and traditions - has resulted in an extreme diversity of its wines. Keith Edwards Wine - Mise en abyme: Ticino -- called Tessin in both French and German -- is a 2,813-km² (1,086 square-mile) Swiss canton located on the southern slopes of the central Alps. Italian-speaking (an artifact of rule by the Dukes of Milan until its conquest by the Swiss Confederation in the 15th Century), except for the German-speaking municipality of Bosco/Gurin, the canton is almost completely surrounded by Italy. The canton is divided into two geographic regions by the dividing line of the Monte Ceneri Pass: Sopraceneri, encompassing the Ticino and Maggia Valleys; and Sottoceneri, the region around Lake Lugano. The Sopraceneri lands were formed by glaciers and streams and, as a result, are more mountainous and rife with terminal moraines and alluvial cones and is acidic. The soils are rather stony with a full complement of silt and sand. The Sottoceneri soils are limestone and deep, rich clays. Ticino's climate has been described as "modified Mediterranean." The Alps in general, acts as a barrier such that the climate in the northern parts of Switzerland are different from the south. Ticino, situated as it is to the south of the Alps, receives some Mediterranean air from time to time and can reach temperatures of 21.3℃ in the summer with an average annual temperature of 11.7℃. Ticino's 2100-2286 hours of sunshine per year is the highest in Switzerland. The warm, moisture-laden air from the Mediterranean deposits a lot of its mass as it rises to soar over the Alps, leaving Ticino with the highest annual rainfall (1750 mm) in all of Switzerland. The Föhn is a warm wind which blows over the Alps from south to north but, on occasion, reverses itself and blows from north to south, impacting Ticino. Ticino is prone to fierce storms and the risk of hailstones has prompted grape-growers to install anti-hailstone nets. 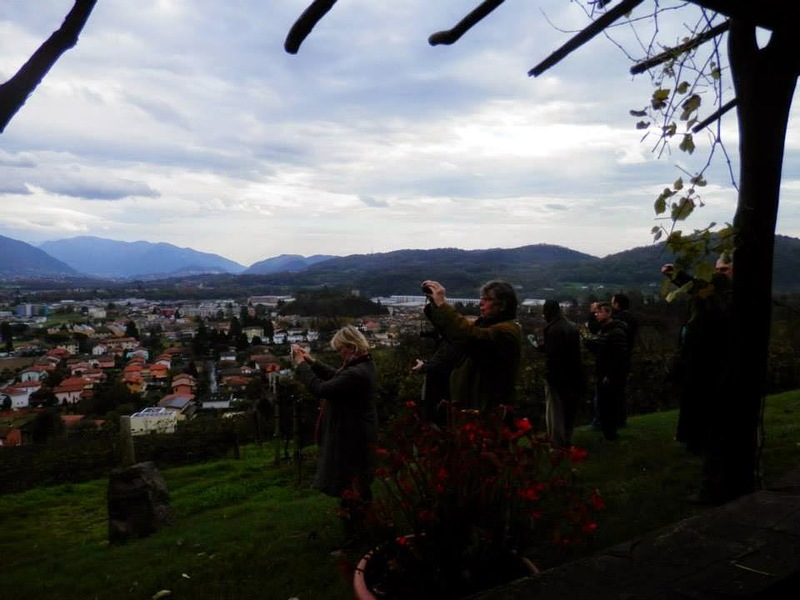 A total of 1000 ha of Ticino land is dedicated to grape growing today, down from over 7000 ha pre-Phylloxera. As shown in the map below, the northern wine growing areas hug the river valleys while the southern ones, though centered around Lake Lugano, do venture into non-aquatic areas. Elevations in the region vary between a low of 200m and a high of 600 m, with the average vineyard located at approximately 325 m above sea level. There are a total of 3600 grape growers in Ticino and they provide the inputs to the 200 producers and the Coop who produce the region's wines. Vineyards are generally small, steep plots of between 3 ha and 6 ha and yields are at 70 hl/ha. Fifteen companies produce 80% of the wines produced using all purchased fruit or a combination of owned and purchased fruit. The Coop produces 1 million bottles annually. Merlot, far and away the most dominant variety, suits the Ticino environment because it ripens early and ahead of the weather change which can occur in October. It was first planted experimentally in 1906 and, since that time, research work done by the Cadenzzo Agricultural Center of the Swiss Federal Research Station has adapted the variety to Ticino climatic conditions. Brivio Vini SA and Gialdi Vini SA are operating as a pure negociants-type winery under the same roof and management in Mendrisio. Together, they buy fruit from 400 farmers operating on 100 ha of land in the region and produce 100.000 cases. We were hosted by Guido Brivio, the founder of Brivio Vini SA. In an interview, Guido Brivio was asked: What traditional dishes would you recommend to drink with your wines? Polenta and risotto are traditional dishes. We have a north Italian culture here. What restaurants do you recommend in the region? If you want rustic food then the tavern, Grotto Bundi (grottobundi.com), located on a road full of ancient wine cellars, is a must. Grotto serves the best polenta in the world, in my opinion. Cantina Kopp von der Crone Visini is a small producer with 7 hectares of land. 4000 cases. We were hosted by Anna Barbara von der Crone and Paolo Visini. Tamborini Carlo SA is a negociant/grower producer. It produces about 30 different wines, from its own vineyards (30 hectares) as well as from grapes produced by about 100 producers who sell the grapes they produce to Tamborini Carlo SA. We were received by Valentia Tamborini, who also joined us for lunch, and were briefly greeted by her father Claudio Tamborini. 12:00 Lunch at Ristorante Serta, Lamone, with Valentia Tamborini. Vini e Distillati Angelo Delea SA is a similar set-up as Tamborini Carlo SA. Vini e Distillati Angelo Delea SA owns 23 hectares of land and buys grapes from other producers, equaling about 30 hectares of land. Total output is 70.000 cases. We were received by David Delea and greeted by founder Angelo Delea. Azienda Mondo belongs to the category of small producers that bottle and market themselves their wine. The vineyard area totals 6 hectares. The winery is located up on a mountain. 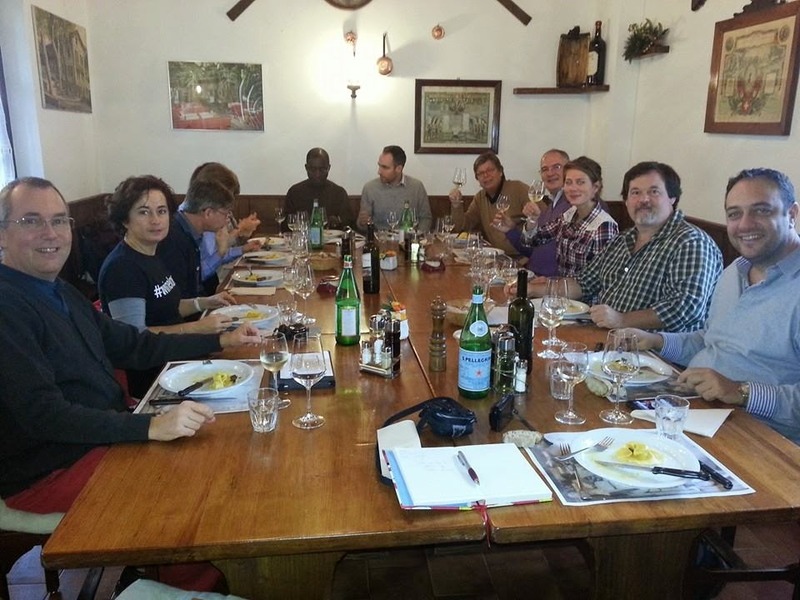 We had dinner at Albergo Svizzero with Meinrad Perler, the owner of Agriloro SA, which we visited the following day. During dinner, we were able to taste a broad selection of the Agriloro SA wines. 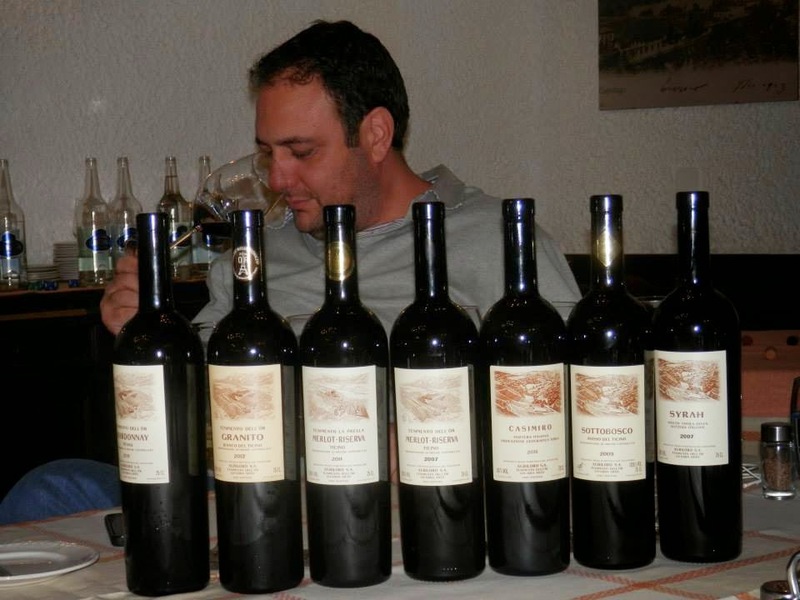 Vinattieri Ticinesi is a negociant/grower producer, with an output of 50.000 cases. 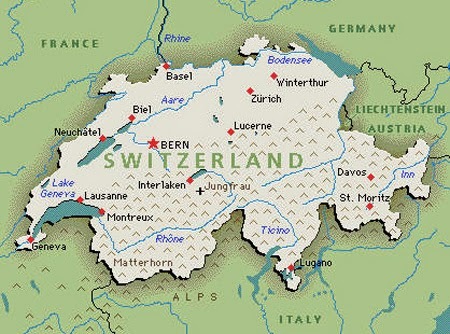 That makes him the second largest producer in Switzerland. The winery was founded in 1985 by Lugio Zannini. Today, the Zanini family owns 80 hectares of vineyard land and has long-term contracts for another 30 hectares. The current winery is laid out for a potential production of 100.000 cases. We were hosted by Nevio Componovo. We had, inter alia, the 2011 Castello Luigi Rosso del Ticino DOC, which is a world class Merlot. Meinrad Perler, the owner of Agriloro SA, is the son of a farmer in western, French-speaking Switzerland who initially went into banking. When that career soured, he turned to his passion, winemaking, and moved to Mendrisio in the early 1980s. Agriloro SA comprises Tenimento dell’ör in Arzo (9 hectares of vineyard land) and Tenimento La Prella (11 hectares of vineyard land) in Genestrerio. Annual production is 20.000 cases, of which 75% red wine.